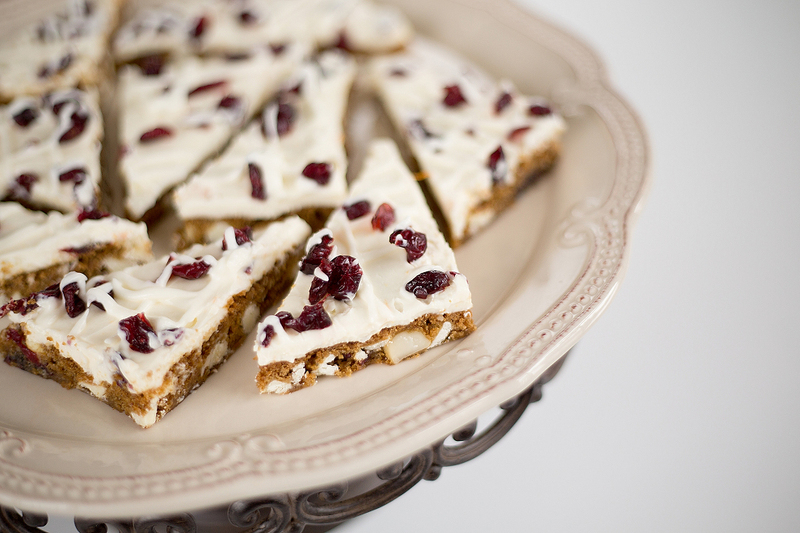 When I was in Austin a couple of weeks ago my daughter in law asked me if I was going to make cranberry bliss bars for Christmas, I had not thought about them in a while. She said that mine were even better than the ones you buy at Starbucks. I thought that sounded like a great idea so today I made a batch and they turned out so good, my husband actually said “This is the best thing I have ever tasted….holy crap…seriously, these are so effing good!” I think the molasses, macadamia nuts and the orange zest really make this recipe. So I took some pictures with my “good” camera of the bars I made today and am sharing the recipe with you, let me know if you have any questions, Enjoy! then add one bag of white chocolate chips, four ounces of macadamia nuts and a 1/3 of a regular sized bag of Craisons (I use the no added sugar ones) Save the rest for the topping. Line a large pizza pan with parchment paper, spread dough evenly across the pan. Bake in a preheated 350 degree oven until center shows signs of being baked fully and edges start to brown slightly. Edges will be crunchy and middle will be slightly softer. I’m sorry, I don’t use a timer for this recipe, I just keep a close eye on it. Probably about 15 minutes if I had to guess. While the giant cookie is cooling, make the frosting. Sprinkle the rest of the Craisons all over the top, then drizzle the runny icing back and forth really fast one direction, then the other. I use an icing bag with a writing tip, but you could use a ziplock bag with a small hole instead. These bars freeze well, just don’t stack them or they get messy.